Do you have electronics or appliances in your home? A home office with a computer or two? Do you plug in multiple electronic devices at night to charge? If you answered yes to one or more of these questions, continue reading! 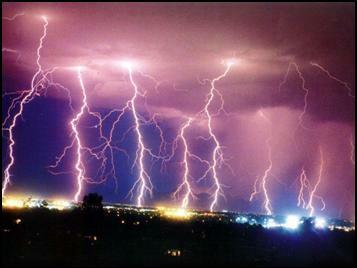 Although a lightning strike can cause a severe power surge, they are not the most common source. In fact, 70% of power surges are caused from the power cycles of the electronics and appliances within your home. A power surge happens within milliseconds — a thousandth of the time it takes you to blink your eyes. Maybe you see the lights flicker, or your computer locks up for no apparent reason. You might not notice anything at all. That little spike in the current flowing through the wires of your house can have big consequences. Surprisingly, power surges fall in the same category as damage from lightning strikes and have billions of dollars per year in insured losses. The common power strips provide some protection, but using a whole-house surge protector is an affordable way to steer clear of those kinds of losses. Give us a call! We will do an electrical evaluation and provide affordable options to keep your home safe-guarded against damage from power surges.